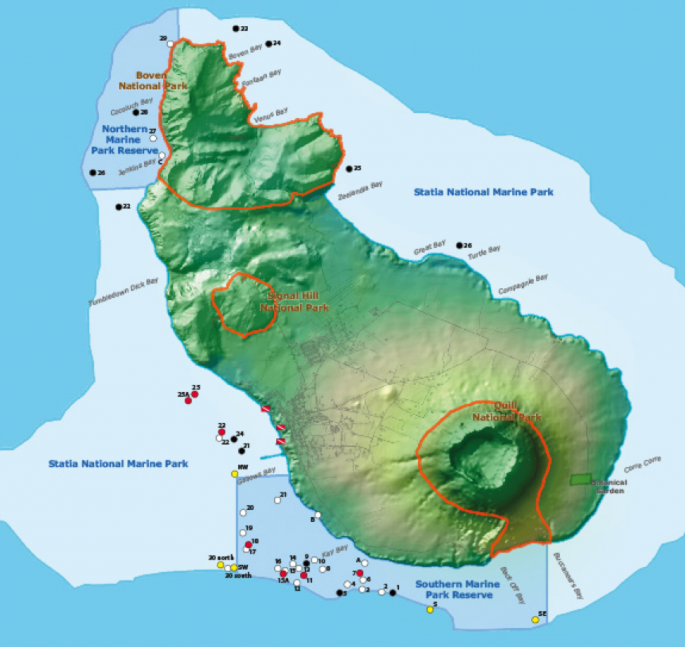 ORANJESTAD – Sint Eustatius’ local iguana gets another helping hand with the creation of an Iguana Hotline, +599-318-1420. Sint Eustatius National Parks Foundation (STENAPA) asks everyone to add the following number to their contacts, then call or send a whatsapp message for sightings of the invasive green iguana with black bands on the tail. Also, contact the Iguana Hotline if the you see a local iguana that needs to be tagged, relocated or sadly has been involved in a road accident. The possibilities of road accidents increase during dry periods, so it would be beneficial to keep the hotline in mind when it gets hot and dry. Please do not hesitate to call, if you have any information or questions about conservation efforts of Statia’s largest land animal. 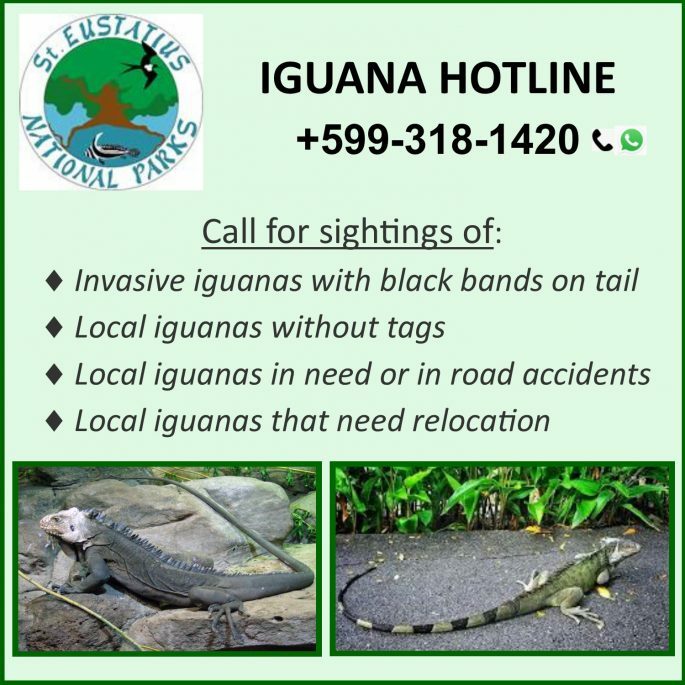 Also, feel free to share the Iguana Hotline with your friends and visitors. Statia’s local iguana is also know as Lesser Antillean iguana, Iguana delicatissima.